Loose Screw Tattoo is beyond excited to host their first ever Earth Day flash event! 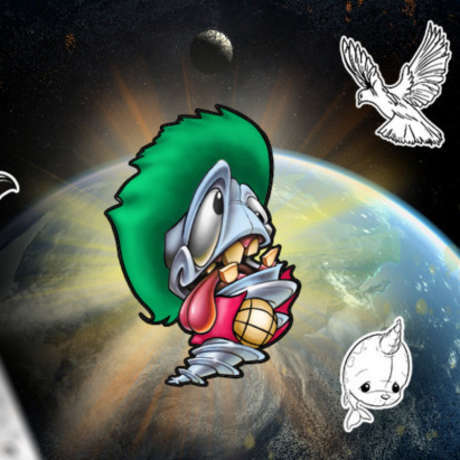 To celebrate Earth Day, Loose Screw will lower its shop minimum and price flash tattoo designs at $50 and up, depending if the client chooses to get the designs tattooed in full color or black and gray shading. This event draws a crowd of tattoo-seeking enthusiasts due to the fun and wacky flash designs being done by a talented team of artists, including Jesse Smith, Christian Buckingham, Jason Stephan, Nick Mitchell, Chris Jenkins, Fronkie L’Heureux, and Juan Canales. The first 3 people in line will be guaranteed a spot to be tattooed by shop owner, Jesse Smith! Flash sheets with all available designs can be found on Loose Screw’s social media. All proceeds go towards environmental and wildlife conservation efforts via the Giving Arts Foundation. Donations are also accepted for those that wish to contribute without getting a tattoo. The event will take place at Loose Screw Tattoo from 10am-6pm, first come first served.